Long, icy, and utterly refreshing, highball cocktails were made for summer sipping. Here are six of the best highball recipes to try this season. Spritzy enough to sip in the hottest weather, made with enough mixers to keep you on your feet, and extraordinarily simple to mix up, highball cocktails are just the thing to enjoy during this Summer of Sipping. From a lighter take on the Negroni to several serves made with our brand-new summer syrups for gin, here are six of the best highballs to try now. Sloe Gin isn’t just for enjoying by the fireside—in fact, it’s an essential ingredient in this summery, bittersweet rival to the G&T. Fill a highball up to the top with ice. Add your gin, top up with lemon tonic, gently stir to blend, and garnish with an orange wheel. You can't talk about highballs without giving credit to the mighty Gin & Tonic. The Gin & Tonic—the most classic of highballs—needs no introduction. It isn’t the Summer of Sipping without plenty of G&Ts to go around. Fill a highball up to the top with ice. Add your gin, top up with tonic, gently stir to blend, and garnish with a lime wedge. One of the best highballs for summer, this recipe makes use of our delightfully distinctive Lemon Drizzle Gin. Think of it as gin’s answer to the Mojito. Add the mint leaves to a highball and lightly muddle. Add the gin and both syrups and top up with soda. Stir gently to combine. Garnish with a mint sprig and lime wedge. 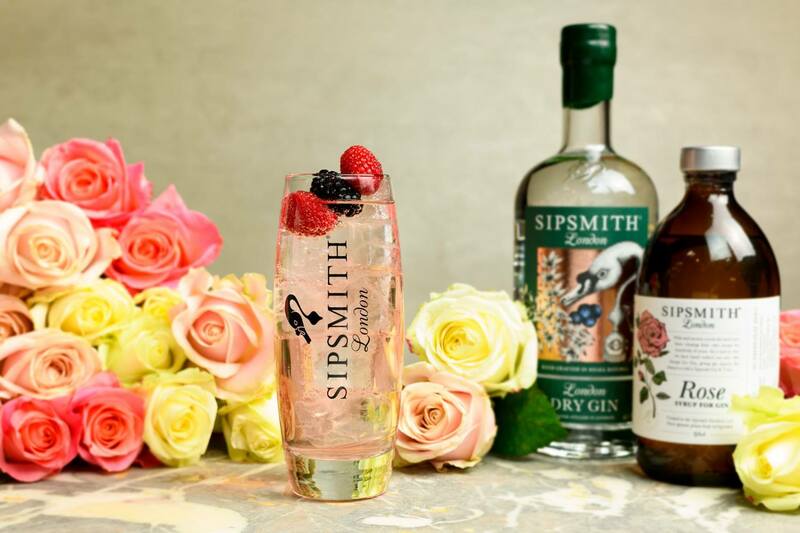 This summer, lend a floral flavour to your Tom Collins courtesy of our new Sipsmith Rose Syrup. Sipsmith Rose Syrup is one of three summer syrups that we just debuted this year. While it’s a natural in a G&T, we also love it in a Rose Collins. Fill a highball up to the top with ice. Add your gin and rose syrup, top up with soda, gently stir to blend, and garnish with a rose petal. Not just one of the best highballs to sip when Wimbledon comes around, but an all-summer-long staple, this G&T (made with our Strawberries & Cream Syrup) is a festive twist on the classic. Fill a highball up to the top with ice. 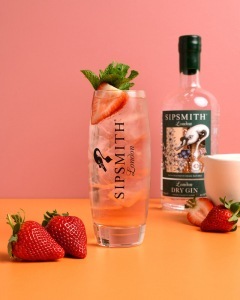 Add your gin and strawberries & cream syrup, top up with tonic, gently stir to blend, and garnish with fresh strawberries and a mint sprig. Looking for a lighter take on the Negroni? This hybrid spritz marries gin, ruby-hued Campari, our London Cup, and tonic, making for a wonderfully quenching serve. Fill a highball up to the top with ice. Add your pre-batched Negroni mix, top up with tonic, gently stir to blend, and garnish with an orange wheel.